Home > Special Articles > 12 Money Lessons to Create Wealth...! This is a post that should be read by all those above 25 age. If you did not read this at 25, then read it now. 1. Saving more is good. However to get rich, YOU need to invest more. Saving is a good habit, but investing is a learnt habit which will put you on the path to financial freedom. 2. Save between 20 to 30% of your take home salary. If you are staying with your parents, this can go up even more. Make sure that you contribute to the household expenses, and house work. Do save more, and invest the same as a habit. 3. Learn money management -- and learn the advantages of simplicity, equity investing & compounding. 4. Learn the power of delayed gratification -- and teach it to your friends, siblings, parents, and kids -- as soon as you have them. 5. Tell your parents marriage & having kids is AWESOME, and you will do it by choice. These activities do not have an expiry date. Do not ever rush into it. 6. Make sure that you marry somebody financially compatible too. 7. Never ever stop learning. Education (no not the degree) is the gateway to differentiating yourself from the crowd and constantly improving yourself so you can adapt and evolve with the ever changing world. The internet has awesome stuff. Khan Academy and Coursera are great places to explore. If you are an Indian, subramoney.com is a good place to learn a lot -- and there are enough links to the outside finance world. Make a start, today. Empower yourself. 8. Do something which others will love to pay you for. Create health or / wealth for people. Take away their worries. Keep them happy. Yes, you have to make a living, but put clients' interests first. Always! A happy client comes back. 9. Automate your finances -- EMI, phone bills, rent, electricity bills, gas bills, SIP (Systematic Investment Plan), etc., get the routine out of the way. Make sure you have auto bill pay set-up and automatically transfer funds from a savings account to an investment account on a monthly basis. Automate your investment account in a systematic investment plan and don't get caught up in the allure of 'stock picking', 'market timing' and trying to become the next investing billionaire. Reduce your taxes & fees as best you can. This means taking a long-term perspective with your investments (at least 60 months plus) and never paying for high fee investment accounts and managers. 10. Stop spending money on useless 'stuff'!! It's not possible that all the stuff you're buying is making you happier. In fact, it's perhaps putting a strain on your financial budget. It is surely POSTPONING your financial freedom. Do not spend to impress your friends and your neighbours. You're not winning any brownie points or gold stars for owning things you can't afford. 11. Get sensible amounts of medical and pure term life insurance. Understand first, then, buy. 12. Be as debt light as possible. If you must borrow, let it be only for a house. That too about 50% of the cost of the house, not 110% as the BFSI wants you to borrow. Remember 2008 crisis? It started in the mortgage market. We are heading there again! Now! Mr. P V Subramanyam, a Chartered Accountant by qualification and a financial trainer by profession. Writing comes from the reading that he do. After a 15 year career serving in the trenches of the financial services industry – from Equity broking, mutual fund advising, corporate finance advising, personal financial planning, he turned to training. He have been in the training profession for the past 17 years. He have done upwards of 50 training sessions on ‘Finance for Non Finance companies’ – across manufacturing companies, BPOs, NBFCs, as well as open programs for training companies. This gives a broad view of the accounting, costing and cash flow concepts. The people who attend have ranged from operations, HR and sales managers. He have trained in most mutual funds, life insurance companies, private sector banks, brokerage houses, and many companies. He also conduct financial planning workshops within corporate India, helping employees save better, invest better, equipping smart people with the tools to get richer. Have also done training for journalists, PR agencies and advertising agencies working in the financial services sector. He have been going around the country meeting and talking to doctors about how to make their money work harder, and how to avoid big financial mistakes. 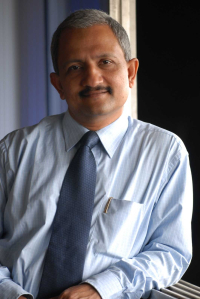 He write regularly for financial websites (www.moneycontrol.com, www.myiris.com, rediff.com and magazines like Money Today, Money Mantra, newspapers – Economic Times, Indian Express, Financial Express, etc. Wrote a book on wealth creation called ‘Retire Rich Invest Rs. 40 a day. It is a book on wealth creation. It has so far sold upwards of 1,20,000 copies.